In a scathing opinion piece published Monday, Vermont Senator Bernie Sanders urged that President Donald Trump’s budget be defeated. In the piece, Sanders slammed Trump budget director Mick Mulvaney for claiming that his budget was “compassionate” for slashing programs such as Meals on Wheels, while increasing defense spending by $54 billion. “If Trump’s budget becomes law, the after school programs that provide both enrichment and a safe space for Mick Mulvaney’s hypothetical mother’s children while she is still at work would be ended,” Sanders wrote in response. 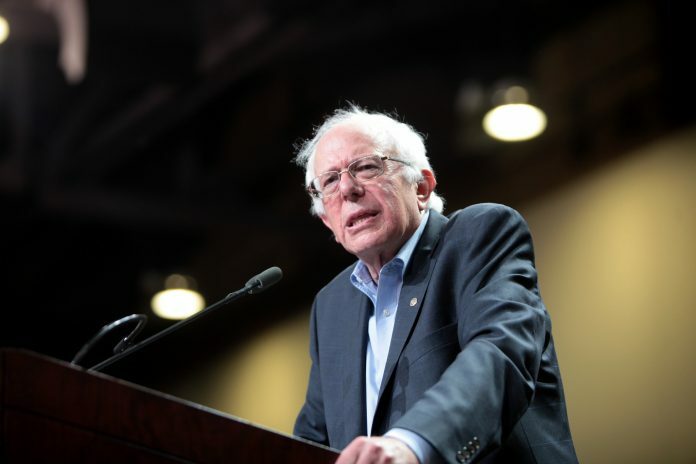 The Vermont Senator also took issue with Trump’s 31 percent cut to the Environmental Protection Agency, the 18 percent cut to the National Institutes of Health and $6.2 billion in cuts to affordable housing programs. “Let’s be absolutely clear. When Mulvaney talks about spending taxpayer money ‘carefully,’ he really means abandoning programs that will help millions of working-class Americans so that the Pentagon can get an $84 billion increase in spending over the next year and a half,” the Senator wrote. You can read Sanders’ remarks in full here.